When you’re on stage performing, you have your hands full with playing, switching patches or controlling real-time parameters on your synth and other MIDI equipment. In this artist story, Kat Day of the British band The KVB shows how she integrated the Nektar Pacer MIDI DAW Footswitch Controller into the band’s performance: Taking control of her Oberheim OB-6, DSI Mopho, Resolume Avenue video software and backing track all at the same time. Nicholas Wood and Kat Day are touring as a duo, controlling not just the music but also the visuals directly from the stage. So they literally need all hands on deck to perform their energetic reverb-ladden shoegaze-y sound live: Nick is taking care of singing and guitar duties, Kat is playing synths, doing backup vocals and controlling the visuals which are delivered by Resolume Avenue software. Resolume supports control of many parameters via MIDI, including realtime FX. For this video they prepared a special performance of their track “Never Enough”, and assigned the switching and control duties to our Nektar PACER MIDI DAW Footswitch Controller. 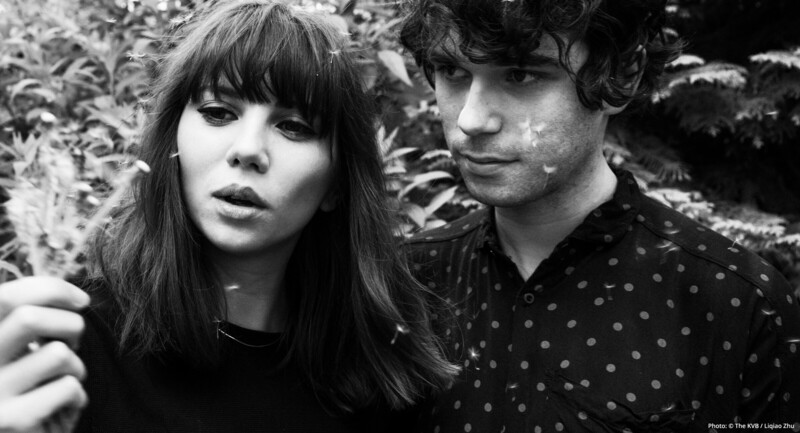 The KVB are playing live a lot and will tour their current album “Only Now Forever” all around the world – Starting their crazy traveling schedule in February, with shows in the US to follow later this year (details TBA).